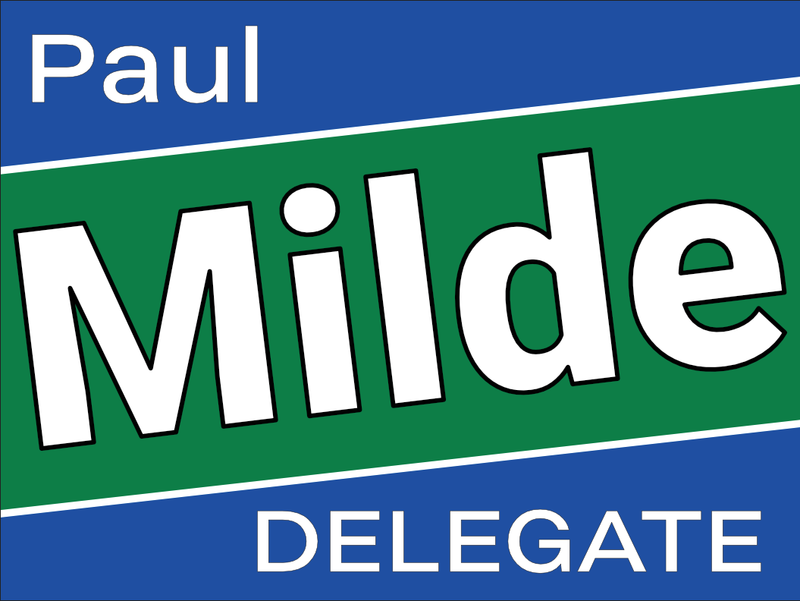 I am writing to let you know I am running for the Republican nomination for Delegate in the 28th District. As a candidate for the Republican nomination for Delegate last year, I believed my competitors were, like me, conservatives. In our public statements, appearances, and promotional materials, the three of us who sought to carry our party’s banner in November all expressed the conservative principles that Republican voters expect of their leaders. It is clear now, however, that one of us was not the conservative he claimed to be. By joining 49 liberal Democrat delegates to support Obamacare and Medicaid expansion during this year’s Session, Newly Elected Delegate Bob Thomas has failed to keep faith with the voters who nominated him last June. Worse, he has effectively aligned with Governor Ralph Northam and the Democrats to oppose Republican senators like Richard Stuart, who are standing up for conservatives and for fiscally responsible budgeting. It is not possible to be a conservative and support the expansion of Obamacare. At a time when our values, our principles, and our President are under unrelenting attacks from Democrats and the mainstream media, Republican voters expect their leaders to stand up for them, not cave under pressure. Republicans have had enough of candidates who run promising conservative government and do the opposite after being elected. Those in our party who believe that supporting a failed liberal initiative like Obamacare will take an issue ‘off the table’ are mistaken. Caving on Medicaid expansion will not lower health insurance premiums, reduce deductibles, or bring the cost of healthcare down. What it will do, and what it has done in other states, is cause healthcare costs to increase, blow up the state budget, and guarantee future tax increases. Bob Thomas’s reversal on Obamacare is not the only example of his breaking faith with the Republicans who nominated him. He aligned himself with Democrats to defeat a pro-gun rights bill. Instead of remaining faithful to the Republican voters who entrusted him with our party’s nomination, he again joined Democrats to impose a new tax on hospitals and to increase what Virginians pay for gas. These positions may bring Bob Thomas praise from liberal editorial pages, but they are not conservative. As evidenced by my twelve years of service on the Stafford County Board of Supervisors, voters can count on me to represent our conservative principles and values. Time and again, I have demonstrated the ability to stand up and fight for what is right, regardless of the pressure from liberal special interests or the attacks and derision from the mainstream media. When I say I will not vote to expand Obamacare, it means I will not vote to expand Obamacare. It does not mean I will vote to expand Obamacare if I win by a smaller margin than I thought I would, or if there are more Democrats elected than I thought would be, or because some of my colleagues misleadingly rebrand Obamacare as ‘conservative.’ I will not vote to expand Obamacare. than a year before it will be decided. But I know from personal experience that unseating an incumbent, even one who has served so briefly, is not easy. Between now and this time next year, I will be taking my message of principled, conservative leadership directly to the voters of the 28th District. P.S. I am firm in my belief that the people of Stafford and Fredericksburg want an effective conservative representing them in Richmond. You can count on me to be the kind of delegate who will stand up for them and for the conservative principles we share.